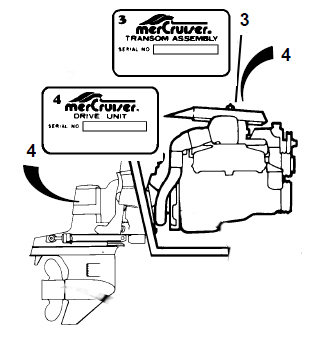 The model of Mercruiser Engine can be determined by looking at the last letters of the engine code which is stamped in all complete Marine Longblocks by General Motors at the time of assembly. If the serial number and/or model decals are missing, the Marine Engine code will help to determine the specific engine model/vintage. Refer to the drawing below for the engine code location of your Engine. Information you need from the engine code, example M01187MH. 7=General Motor’s model year in this case 1997, BUT this could also be 1987 or 1977. MH = Type of engine. The 350 cid V8 Mercruiser models 5.7L, 350 Mag Mpi, Black Scorpion Ski, etc. 4.3L XXG 1985–1992, special service long block for engines with mechanical fuel pump. No intake,flywheel or balancer on long block. Can be used on 2 or 4 bbl engines. **Repowering Options** This tool will help you find and understand the available options when repowering your boat. 3.0L Longblocks – Reman or New? My 3.0L Block is Cracked. Should I Purchase a New Longblock or Remanufactured? 3.7L/470 Marine Engine Repowers My Mercruiser 470 Engine Is On Its Last Leg. What Options Can I Consider to Replace It? 5.0L/5.7L Engines How do I select the correct new 5.0L or 5.7L longblock? 7.4L/8.2L Engines How do I select the correct 454/502 (7.4L/8.2L) new marine longblock? Auto vs. Marine Are automotive and marine engines the same? Block Code Indentification 4 Cyl Mercruiser Engine Block Code Identification Table For Properly Identifying Your Mercrusier 4 Cylinder Marine Engine. Block Code Indentification 6 Cyl Mercruiser Engine Block Code Identification Table For Properly Identifying Your Mercrusier 6 Cylinder Marine Engine. Block Code Indentification Small V8 Mercruiser Engine Block Code Identification Table For Properly Identifying Your Mercrusier Small V8 Marine Engine. Block Code Indentification Big Block V8 Mercruiser Engine Block Code Identification Table For Properly Identifying Your Mercrusier Big Block V8 Marine Engine. Break In Procedure for Marine Engines Can I run my new engine at full throttle within the 1st hour or do I need to follow a prescribed procedure in breaking the engine in correctly? How to size a marine Carburetor Will my boat go faster if I install a BIGGER carburetor? Condition of Your Marine Engine (Part 1) Condition of My Marine Engine? My Accessories Seem Fine So Should I Consider a New Longblock or Complete Bobtail? Condition of Your Marine Engine (Part 2) Determining The Condition of My Marine Engine. Is a Compression Test as Good as a Cylinder Leak Down Test? Coupler Replacement on Marine Engine How to Know if You Should Replace Your Engine Coupler. Cylinder Boring on Remanufactred Marine Engines How much is considered acceptable for the cylinders to be bored on remanufactured longblocks? Emissions Rules for New Marine Engines The rules have changed dramatically regarding how new marine engines can be sold. Select this article to see how this effects your repowering options. Emissions Options for Repowering What options do I have in replacing the engine in my boat knowing that the EPA started regulating marine engines for new and existing boats? Flame Arrestor Will changing my Flame Arrestor make my boat go any faster? Inboard versus Sterndrive Identification Is my boat an inboard or sterndrive? Marine Engines Performance Product Technologies offers a variety of new and remanufactured marine engines for sale. How to determine the correct engine for your boat. Oil Pump Priming Instructions How to prime the oil pump when installing a new longblock or marine engine. Repowering Your Boat I really love my old boat but need a new engine. What do I need to know when repowering the boat? Rotation of a Marine Engine How do I determine if my engine rotation is Left Hand or Right Hand? Remanufactured Marine Engines How do I select the correct remanufactured marine longblock? Shortblock’s vs Longblock’s Which is the better option a Shortblock or Longblock Marine Engine? Torque Vs. Horsepower What makes a boat go faster horsepower or torque? PPT is proud to offer you the most thorough and engineering supported technical advice when it comes to re-powering your boat with either new or remanufactured marine longblocks, complete bobtail drop-in motors or MerCruiser Sterndrives. Due to recent changes within the marine industry we suggest reviewing the 4 steps and technical information outlined below. Once you complete reviewing this guideline, we would be happy for the opportunity, and do our best to help you with your project by answering any specific questions that arise. IMPORTANT: The first 20-hours of operation will have a dramatic affect relative to overall engine performance and expected engine life. Proper break-in practices reduce the potential for excessive oil consumption. 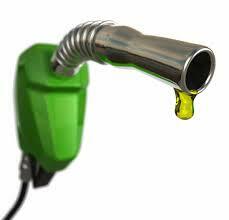 It also helps to achieve better engine performance levels for a longer period of time. 1. Do NOT operate the engine below 1500 rpm for extended periods of time. Shift into gear as soon as possible after starting the engine. Advance the throttle above 1500 rpm if conditions permit safe operation. 2. Do NOT operate at one continuous speed for extended periods of time. Vary the throttle position every ten to fifteen minutes. 3. Do NOT exceed ¾ throttle during the first 10 hours of operation. During the next 10 hours you may occasionally operate at full throttle for no more than 5-minutes at a time. 4. Do NOT operate at full throttle until the engine reaches normal operating temperatures. 5. Avoid full throttle acceleration from an IDLE speed. To help extend the engine life for the engine, consider the following recommendations. 1. Install and maintain the correct propeller for the application. Make sure the prop allows the engine to operate at (or near) the top of its specified Wide-Open-Throttle rpm range. Refer to the Owner’s Manual, or consult with your marine dealer to determine the correct prop for the application. 2. Refrain from extended periods of Wide-Open-Throttle. We recommend cruising at ¾ throttle or below for longer term operation.